Main purpose of the post To support and deliver projects across Wales in various formal and informal settings and alongside project requirements. Support the management and delivery of projects. Plan and organise appropriate youth and community events, projects and delivery. 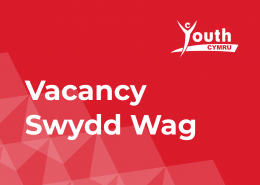 Establish and develop new youth opportunities and projects.Liaise with charities, community workers, AM’s, National Assembly of Wales, MPs, Hubs, and other interested parties, ensuring all are regularly informed of project developments. Recruit, train and supervise members, sessional workers and volunteers. Undertake detached ‘outreach’ youth work with Youth Cymru members. Produce reports and information to support projects and business plan. Produce and deliver presentations for internal and external purposes. Promote the principles and purposes of youth work in Wales. Maintaining project proformas and records internally. 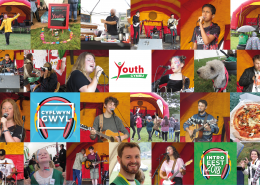 Represent Youth Cymru at networking events, external meetings, phone conferencing, and public forums such as conferences, events and meetings. Manage and administer budgets and resources. Prepare and distribute publicity materials and displays. Liaise with all different funders throughout the life of the project and build strong relationships, creating opportunities to apply for any potential continuation funding. Liaising and working with members, young people, formal and informal educational facilities and other community groups/organisations. Providing mentoring, advocacy and information. Support and identify fundraising opportunities and bids. · Experience of providing youth work delivery in youth based projects. · Delivery/ support the YAA program. · Experience of delivering training to young people and workers. · Knowledge of funding requirements for youth projects. · Excellent communication and presentation skills, oral and written. · Excellent IT knowledge & skills including use of an electronic portfolio system. · Time Management skills with the ability to work under pressure and management of caseload to tight deadlines. • understanding of the requirements of written and oral communication in Welsh . · Proficiency in IT: Office; multi-media, etc. Terms and Conditions of Employment · Hours: 35 hours per week. Some weekend and evening work will be required. · Location: based in Treforest: Travel throughout South Wales may also be required. · The successful candidate will require enhanced DBS certification prior to commencing work. Two references will be required prior to engagement.